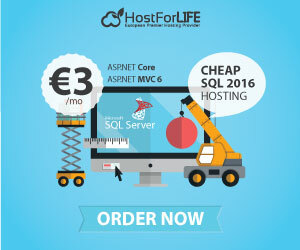 SQL Server 2016 Hosting - HostForLIFE.eu :: How to Use sys.dm_os_performance_counters to get your Buffer cache hit ratio? Today, I will show you How to Use sys.dm_os_performance_counters to get your Buffer cache hit ratio. In order to calculate the Buffer cache hit ratio we need to query the sys.dm_os_performance_counters dynamic management view. There are 2 counters we need in order to do our calculation, one counter is Buffer cache hit ratio and the other counter is Buffer cache hit ratio base. We divide Buffer cache hit ratio base by Buffer cache hit ratio and it will give us the Buffer cache hit ratio. Here is the query that will do that, this query will only work on SQL Server 2005 and up. Now let's look at Page life expectancy. Page life expectancy is the number of seconds a page will stay in the buffer pool, ideally it should be above 300 seconds. If it is less than 300 seconds this could indicate memory pressure, a cache flush or missing indexes.